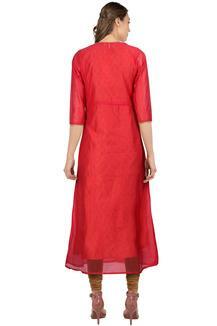 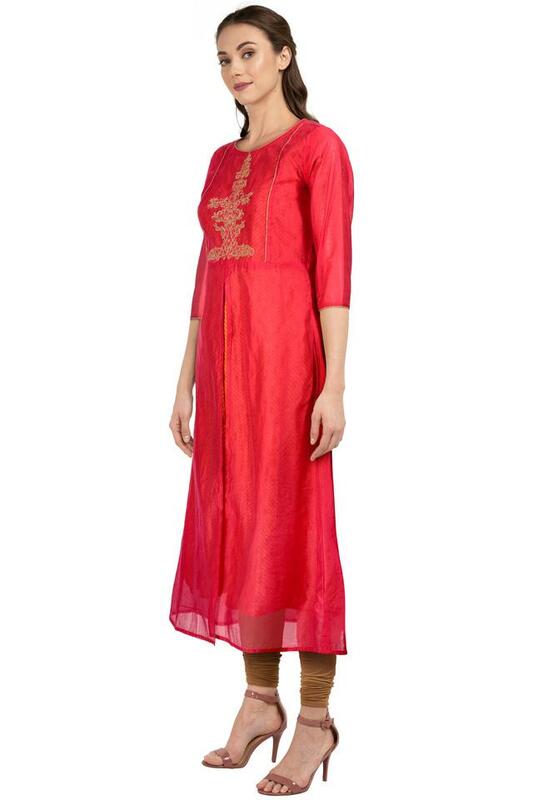 Women, who swear by classy fashion will surely love this kurta from Kashish. It comes in an embroidered pattern that lends it a distinct appeal, while the round neck and the three quarter sleeves add just the right amount of style to its design. 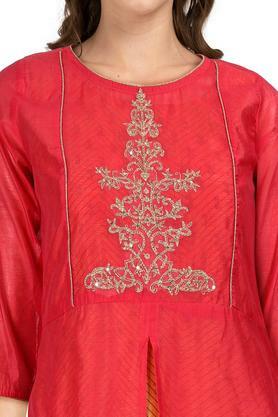 Besides, it is crafted from a good quality fabric, which gives it a nice finish. 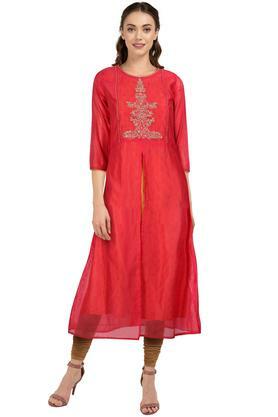 Rev up your partywear collection by adding this kurta, which comes in an embroidered pattern. Teamed with a pair of churidar pants and heeled sandals, it will make you look graceful beyond words.